Glen Ridge’s Estate Homes In Aurora Construction Takes Shape! Our exclusive community of Estate Homes in Aurora at Bloomington and Yonge St. is well-underway! The Estate Homes in Aurora at Glen Ridge Estates were designed to do justice to this incredible natural enclave, surrounded by forested ravine and situated one of the GTA’s most sought after communities: Aurora. 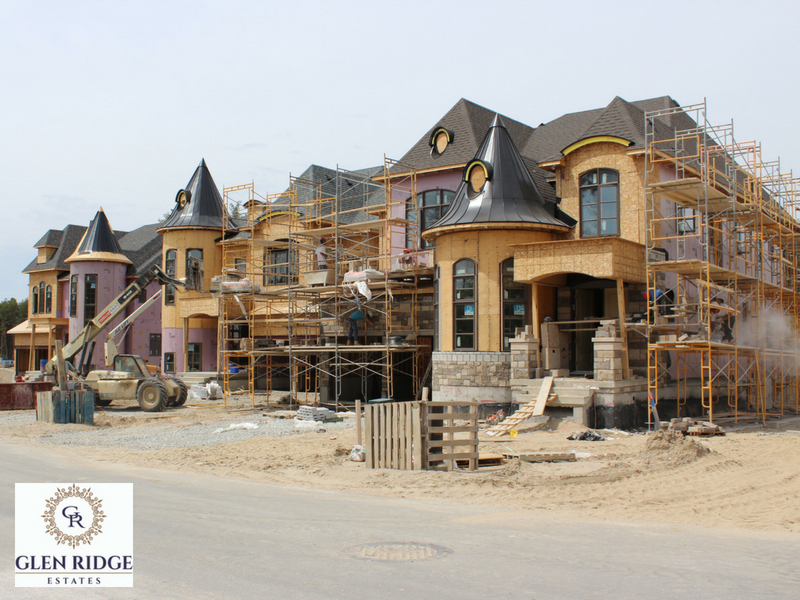 Each exquisitely designed home at Glen Ridge Estates takes our Signature Finishes one step further: large portions of facade covered in elegant stone, premium brick colours, custom precast moulding, wrought iron finials, impressive 8’ entry doors framed by stone porticos, and metal roof details. Now that our Valued Clients have participated in their OPUS Homes Client Workshop, and have finished their personal Decor Studio appointments, selecting from a wide variety of bespoke-quality home finishes, they can relax knowing their home is built with OPUS Homes’ exceedingly high standards. Each of the 28 Glen Ridge Estates homes are situated on a fully treed estate sized lot on this private, quiet street.